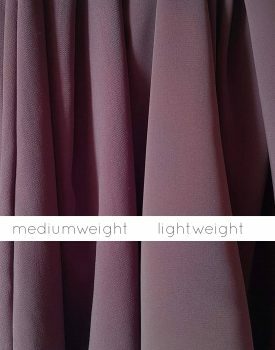 A beautiful dip back khimar with the possibility to wear it as a face-veil as well. The khimar have the classic covering underneath the chin and a tie back incorporated just like our jilbabs. Made in a diamond cut, and extra long back, it provides great coverage both front and back yet isn’t in the way for the hands and arms. Adding to this we have added 2 straps on the inside so you can pull upp the part under the chin to cover your face and tie it behind your head when needed in sha Allah.